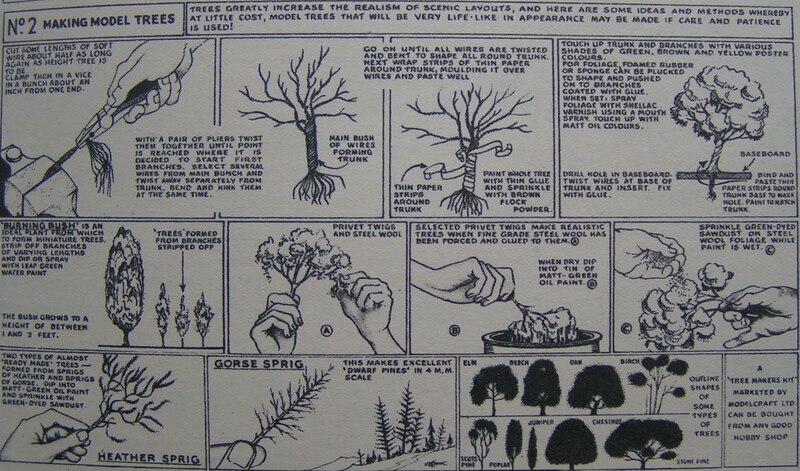 Here are some instructions from an old model railroad magazine on making model trees. The Corbania Prime Blog has a nice illustrated tutorial on making heavy — jungle — foliage terrain pieces. The Wargame Terrain Blog has a photo tutorial on making jungle terrain. Here’s a video on modeling cypress trees / swamp trees.